● Kurt Busch started ninth, finished eighth, collecting three bonus points. ● The Haas Automation driver maintained the same relative position through the entire stage, pitting for the first time under green on lap 47 for four tires, fuel and air pressure adjustments to help alleviate a tight condition that he struggled with shortly after the start. 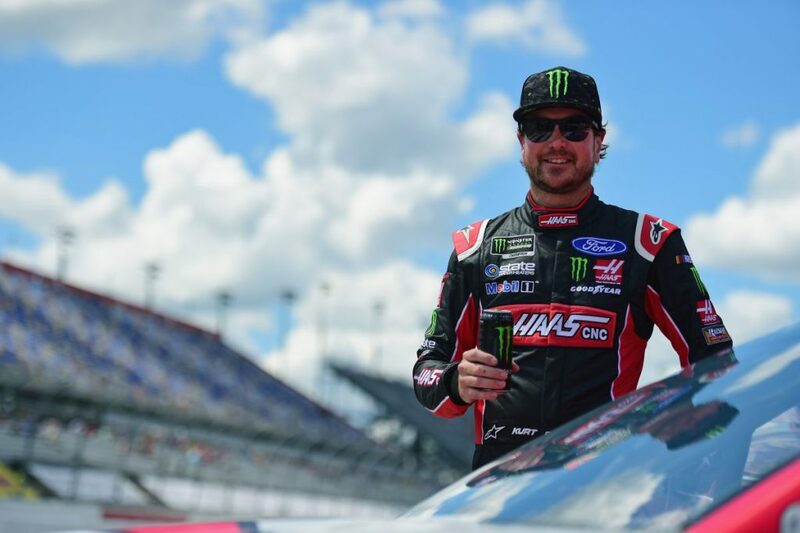 ● Busch reported the tight condition was manageable at the beginning of the next run, and the Haas Automation Ford gradually worked its way to a slightly loose condition by the end of the stage. ● The pit stop at the end of the first stage was for four tires, fuel and further air pressure adjustments to deal with the loose condition that developed late in the run. ● Started seventh, finished sixth, collecting five bonus points. ● Busch worked on using various racing lines to maintain consistent lap times but said he abused his right-side tires on the first run, which ended with a caution flag on lap 128. ● He stopped for four tires, fuel and yet more air pressure adjustments from sixth place on lap 129 and resumed in eighth, then made short work of moving up to sixth with an excellent restart. ● Told crew chief and the crew “good work, good choices” as he rolled across the finish line sixth to end the stage. ● Started sixth and finished sixth. ● Busch had another excellent restart, immediately jumped to fifth and held that position through the early going. ● The Haas Automation driver gradually lost positions and was in seventh when he pitted for a scheduled stop under green on lap 247 for four tires and fuel. It took the remainder of the field almost 20 laps to complete that round of stops, and Busch was up to third when the last of the leaders pitted on lap 261. ● Busch’s next stop came out of sequence as the team elected to make significant air pressure and chassis adjustments on lap 285 to prepare for the run to the finish. He ended up 13th and a lap down. ● When the caution flag flew on lap 312, Busch was up to fifth place but still a lap down. He pitted for tires and fuel before restarting ninth. ● A short time later, on lap 328, Busch reported that the water temperature began climbing rapidly. He was still running one lap down, but a timely caution flag on lap 331 enabled Busch to get the free pass back to the lead lap. He then pitted under caution as the crew did a quick inspection and cleaning of the radiator grille. He restarted eighth. ● On lap 341, Busch reported the water temperature continued to be elevated, so the crew prepared for a stop to open up the grille and add coolant. Again, a timely caution flag flew on lap 344, and the team was able to perform those tasks without falling off the lead lap. ● Busch restarted 10th on lap 347, and the water temperature issue appeared to be resolved as Busch worked his way up to his finishing position of sixth. ● This was Busch’s 16th top-10 of 2018 and his eighth top-10 in 22 career Monster Energy NASCAR Cup Series starts at Darlington. ● Brad Keselowski won the Bojangles’ Southern 500 to score his 25th career Monster Energy NASCAR Cup Series victory, his first of the season and his first at Darlington. His margin of victory over second-place Joey Logano was 1.224 seconds. ● Keselowski delivered the 101st points-paying victory for Ford’s Fusion in the Monster Energy NASCAR Cup Series. It was Ford’s 670th all-time win in the NASCAR Cup Series. ● There were six caution periods for a total of 35 laps. ● Only 16 of the 40 drivers in the Bojangles’ Southern 500 finished on the lead lap. The next event on the Monster Energy NASCAR Cup Series schedule is the 25th running of the Brickyard 400 on Sunday, Sept. 9 at Indianapolis Motor Speedway. The race starts at 2 p.m. EDT with live coverage provided by NBCSN beginning at 1:30 p.m. It is the last race of the regular season before the NASCAR Playoffs begin Sept. 16 at Las Vegas Motor Speedway.